Courtesy of Sauer & Associates, Inc., Robert Hook. 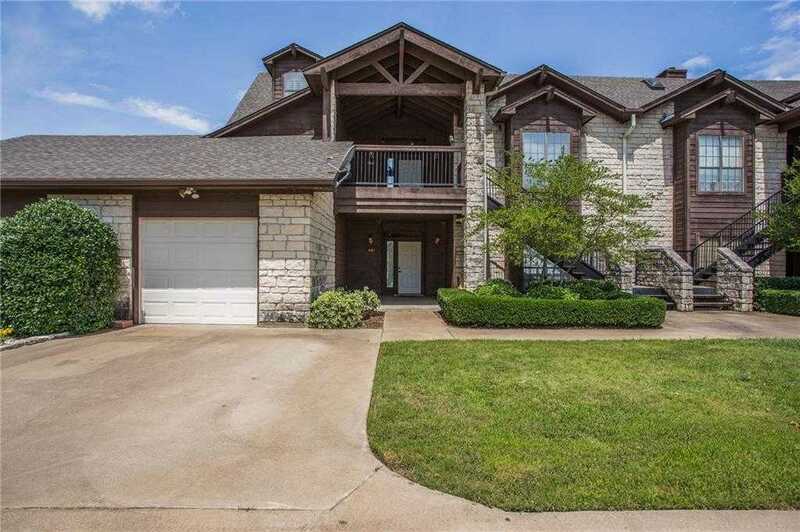 Spacious Golf Course Condo on the 17th green of the New Course, within walking distance to the Club House or Rustic Pool. It has a large covered front entrance with a fireplace in the living area. Double pane windows which look out to the over-sized covered porch providing a scenic view of the golf course. All laminate flooring is new as well as the dishwasher. Unit has large oversized closet as well as a laundry closet which is large enough for a full washer and dryer. Large storage area in garage attic Great for weekend getaways or retirement. Refrigerator, washer and dryer are available for purchase with additional money at closing. Please, send me more information on this property: MLS# 14026965 – $174,900 – 27095 Meadowmore Court Unit 401, Whitney, TX 76692. I would like to schedule a private showing for this property: MLS# 14026965 – $174,900 – 27095 Meadowmore Court Unit 401, Whitney, TX 76692.